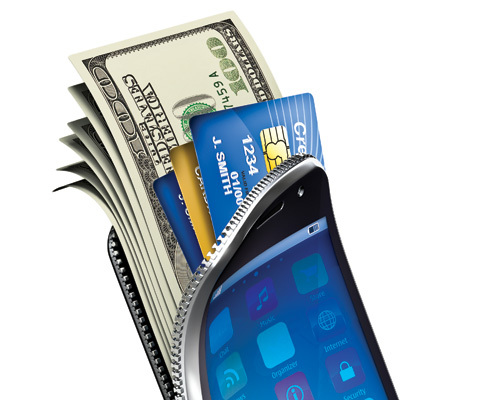 Over the last two or three years the Mobile Wallet has come a long way but may have even further to go. As a payment system it has many benefits for enhancing customer convenience and the experience of hassle free buying and as mobile continuously increases in both use and penetration (80% of world population will have a smart phone by 2020) are there really a myriad of opportunities available to organisations who engage with their customers via their mobile? In this simple but powerful concept there could be potentially one of the biggest chances to engage customers that has so far emerged in the digital age. It has of course to firstly dislodge the incumbent payment methods with which customers and suppliers are familiar and presumably quite happy and also rely on the fact in the future people will still leave the sanctuary of their sofas for some part of their shopping experience. Big hurdles. So what can businesses do with the mobile wallet to make it interesting, exciting and engaging? There is a great deal to achieve if organisations look through the system from the other direction. The mobile wallet can be transformed from an occasionally useful app for customers to make payments to become their window on your world. Their lockscreens can be made to light up their interest in so many ways that are beyond just making payments. Some observation on what is happening out there right now. 1- Creating a range of useful services and pushing information that is relevant and valuable to customers via the mobile wallet can greatly influence their attitude to the brand, improve commercial loyalty (buying more stuff more frequently) and give them a more exciting experience. Services using physical materials like Loyalty Cards, Membership Cards, Visiting Cards, Leaflets, Booking / Collection Receipts, Event Invitations, Mailings and Tickets of almost every kind etc etc. can flow effortlessly into the mobile wallet to give greater convenience to customers and save the organisation the production/administration/mailing/replacement costs of such materials. Ditch the paper and plastic and pitch the electronic fantastic! 2- Then there are directions, not only of how to get to an organisation but where to find what the customer is seeking in the store (or direct them to what the organisation would like them to see) thus creating the opportunity for the organisation to provide guidance or influence the opportunity to buy before the smart wallet is used for its primary purpose i.e. to pay, by which time it is usually too late to influence the purchase decision. Information about all kinds of things can pass through the lock screen window from changes to opening hours, special offers, privilege early advice on seasonal sales, upcoming events, loyalty points offers and loyalty points balances, new customers benefit features, joint promotions with other organisations etc. etc. So what’s in the wallet for them? Potentially a safe secure way of paying plus as much relevant and useful excitement as the organisation can deliver (However a word of caution - it is not a drain down which second rate marketing muck should be flushed – potentially far too valuable for that). It is worth remembering that the smartphone is not the only device with watches and wristbands also set to eat into plastic’s share. Visa UK foresee half of their transactions being non-plastic in 5 years’ time. What’s in it for you? Done right it can save costs on marketing, materials, and administration, direct and improve sales performance and enhance brand loyalty by creating an interesting and relevant customer experience. Will the Smart Wallet make it? It definitely seems worth investigating how push technology could help every organisation to engage and assist its customers increase its share of the mobile wallet and make fast easy payments a factor in keeping customers happy and economies buoyant. For more articles like this, head over to my Blog.